This book started exactly where the last one (The Mark of Athena) left off – with Percabeth (that’s Percy and Annabeth) falling together down to Tartarus and Percy giving last minute instructions for the others to find the Doors of Death from above ground while he and Anabeth will search for it from within Tartarus and seal them from both sides to prevent the vanquished monsters from returning. Important Note: If you haven’t read the previous book, you’re not supposed to be here otherwise this might ruin the experience for you. The mission was simple enough – Find the Doors of Death. However, it’s not that easy to accomplish. On board the Argo II the others, meaning Jason, Leo, Hazel, Frank, Piper, and Coach Hedge set out on the quest – well several quests really. Aside from searching for the Doors of Death those on the Argo II also had to return the Athena Parthenon to its rightful place in the ancient lands, something the Roman contingents aboard have a lot of misgiving considering that the ancient lands are forbidden to them. Add to the difficulty the impending war between the Romans and the Greeks, with the Roman demigods led by Octavian closing in on Camp half-Blood and as if that wasn’t enough they also have to fight all the monsters Gaea sent out to kill them. Meanwhile, Percy and Anabeth fell for what seemed like an eternity down to Tartarus, as the reached the end of the tunnel. Upon seeing the ground with a river running through it, Anabeth told Percy to try to control the water to cushion their fall. Percy managed that but was surprised at the amount of effort he had to exert to do it. The river did cushion their fall but it was the river Cocytus, the River of Lamentation, and as soon as they plunged into to it they were over come with sorrow and hopelessness. It was again Anabeth who realized what the river was and urged Percy to fight back. They fought their way towards the shore and collapsed. They were both injured from the fall and from the shards of glass which made up the shore of the River Cocytus. Anabeth remembered that the River of Fire had healing properties and so they set out to find it and drank the scalding water from the river to heal themselves. There in Tartarus the couple was forced to face off once again many of the monsters and Giants they have previously defeated. They were weakened and near the end of their wits when Bob/Iapetus came to their aid. Having lost his memory when Percy pushed him on the River Lethe, he was still convinced that his name is Bob and Percy is a friend. Honestly, Percy and Anabeth wouldn’t have survived the journey without him, and so he is one of my favorite characters in this book. 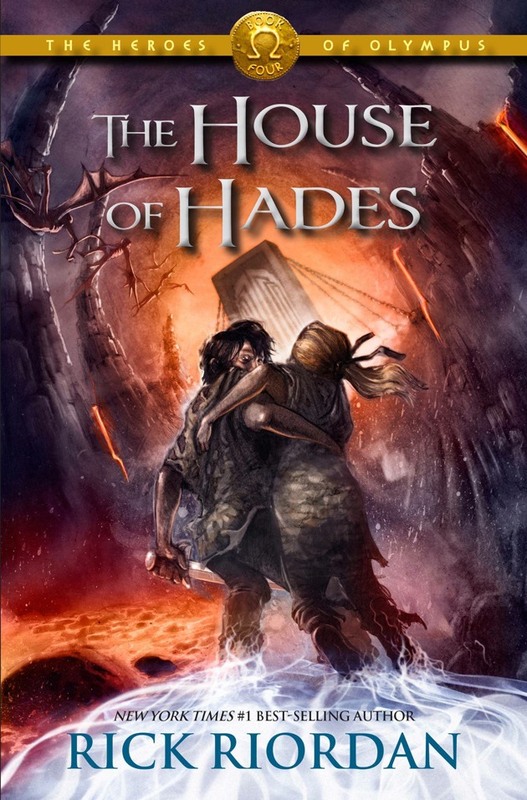 This entry was posted on November 18, 2013 at 6:40 am and is filed under Books with tags book review, heroes of Olympus, house of hades, Percy and Annabeth, percy jackson, rick riordan, Tartarus. You can follow any responses to this entry through the RSS 2.0 feed. You can leave a response, or trackback from your own site. Nico’s secret was fantastic and I remember thinking the same thing about Riordan as I read this book. I’ve enjoyed this series as a whole much more than Percy Jackson and the Olympians.